The mission of Seis Puentes is to empower and support the Latino/Hispanic community of Central Arkansas through education and information. 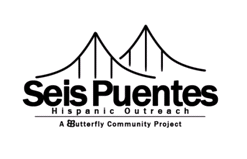 Our name, Seis Puentes or Six Bridges, refers to the bridges over the Arkansas River connecting the twin cities and symbolizes our work to create connections and opportunities between the Latino/Hispanic communities and life in Arkansas. 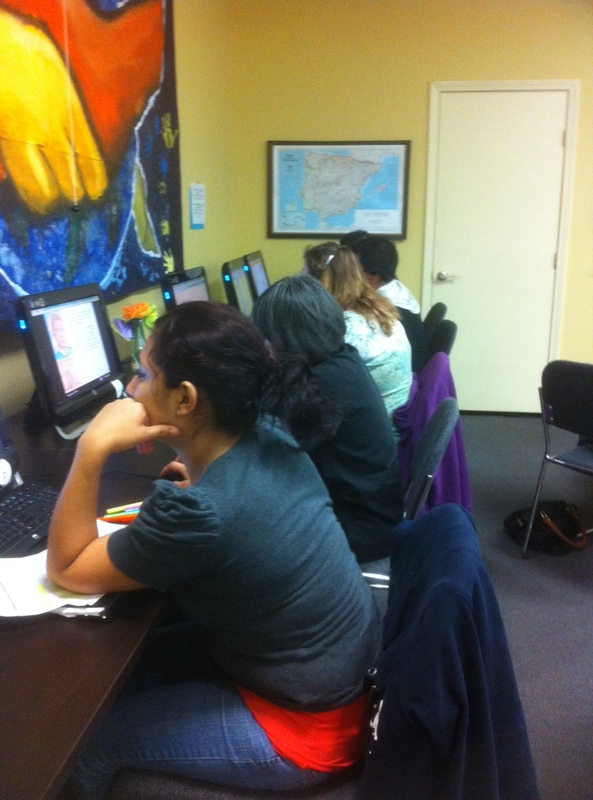 During daytime hours at Seis Puentes, students normally work on activities from the computer programs Burlington English and Pumarosa. 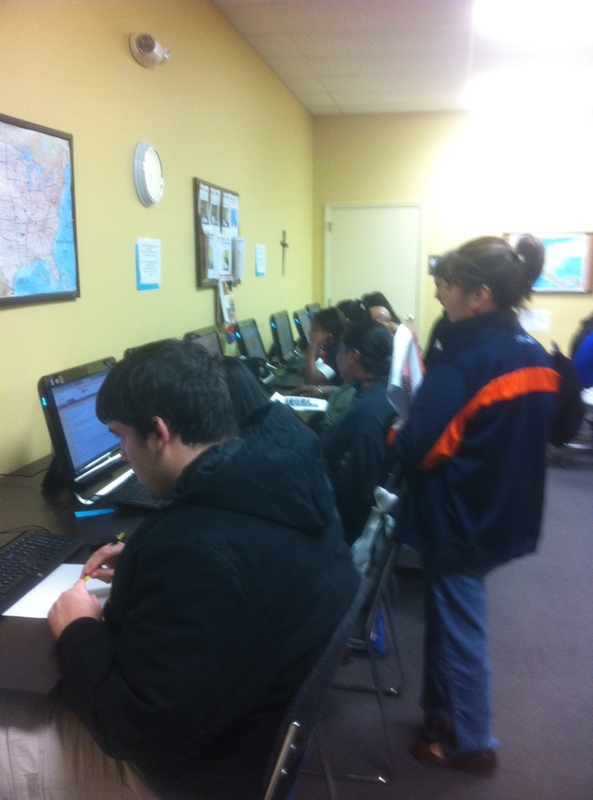 A Spanish-speaking instructor provides individual or small group instruction as needed. There is a special “Cafecito” night the third Tuesday of every month. English Language Learners can practice in group activities and/or use a computer. Coffee is provided and students are encouraged to bring a favorite snack. In English class, a student might practice conversation, work on the computer, or review some written assignments with a teacher. Monday, Tuesday or Thursday group classes may answer questions from an easy-reader newspaper or create sentences from word cards, work with a volunteer, or read and discuss a story. Guest speakers on banking, community and health services may also present talks. There are occasional job fairs as well. Need to work on vocabulary? There’s a way for everyone to learn and benefit from classes. Come see us at Seis Puentes, 4202 Camp Robinson Road, North Little Rock. En la clase de inglés el estudiante pueda practicar conversación, trabajar en la computadora, o repasar algunos trabajos escritos con una profesora. Los martes y los jueves hay clases en grupo. Los estudiantes a veces responden a las preguntas de un periódico para los lectores nuevos. Pueden crear oraciones, trabajar uno-a-uno con un voluntario, o leer una historia y hablar sobre ella. La semana pasada una oradora invitada entró a informarnos sobre los servicios de salud que son disponibles. Esta semana vamos a utilizar un juego de cartas con los estudiantes quienes llegan temprano. Este juego van a enseñar los nombres de profesiones y puestos de trabajo, preparando a ellos para la Feria de Empleo. Necesitas trabajar en el vocabulario? Te pondremos en “USA Learns! Hay una manera de ayudar a todos a aprender. Venga a vernos en Seis Puentes, 4202 Camp Robinson Road, North Little Rock!